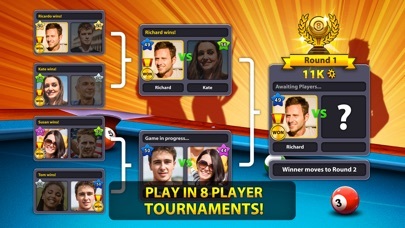 8 Ball Pool™ - App - App Rediscovered! This is the 5th review I’ve wrote in hope to get anyone’s attention about why I don’t get a dollar for the video I’ve watched. 8 times in a row now. I dont know if it’s purposely or you guys just don’t read your reviews but it needs fixed if you want people to play. 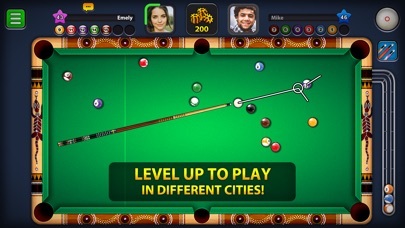 This game robs you constantly!!! The game is fun,when they allow you to win. When you play against someone you know personally,that’s the only time you can get a fair game every time. Other than that,you’re really just rolling the dice. “Connection slow “seems to pop up a lot. 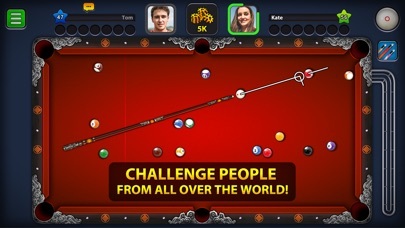 A lot of times when I’m winning,and I make the last shot right before the 8 ball,it will say connection slow,then it will make it to where I never shot that last ball,and say I ran out of time. 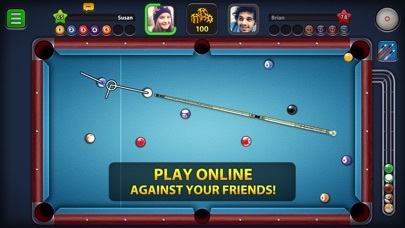 No matter how well I do, I always end up getting all my coins robbed from me by a connection slow issue. My WiFi is perfectly connected,but still get the connection slow thing. There are a lot more glitches that happen,and I’m guessing it’s because they just want you to buy coins and dollars. This game would be really fun if they didn’t purposely rob you of coins.